Every year, hundreds of people are involved in motor vehicle incidents that involve damage to property, as well as minor and major injuries. Between 2010-2014 Grande Prairie experienced an alarming 155% increase in the number of injury collisions in the city (Source). 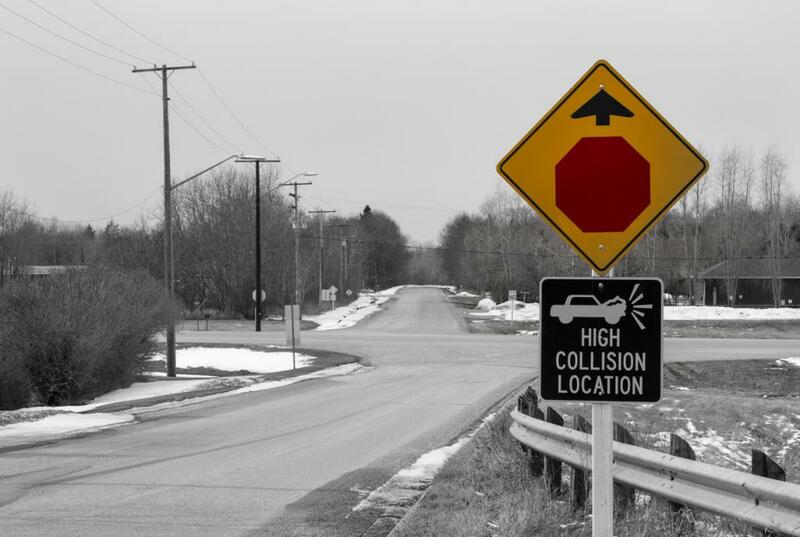 As noted in a recent article in the Daily Herald Tribune, The City of Grande Prairie’s “Safe City Roads Action Plan” is working to improve traffic safety with “a four-pronged approach: education, enforcement, analytics, and engineering.” (Source). Driver’s (and pedestrians) can do their part by making sure they are aware of the rules governing intersections. If you are injured in a car accident the amount of compensation you may be able to claim is affected by whether you share any liability (fault) for the accident, legally known as contributory negligence. If the accident occurred at an intersection, in part because you did not observe the rules governing intersections, then you may not be able to claim 100% of your losses against the other driver’s insurance. For example, perhaps the evidence established that the other driver was speeding to beat a red light, but when the accident occurred, you also ran the red light to make a left turn across oncoming traffic. As a result, you may each be found to be 50% liable for the accident that injured you. This means you may only be entitled recoup 50% of your losses against the other driver’s insurance. Since this type of accident is likely a head-on collision, the injuries would probably be severe and losing 50% of your compensation claim could well prove disastrous for both you and your family. However, even if you are partially at fault, if you have an experience personal injury lawyer in your corner, you are more likely to receive the maximum amount of compensation possible under the circumstances. If you are seriously injured, this may turn out to be critical. Don’t let insurance adjusters sway your decision. Always seek legal advice before deciding not to pursue a potential claim for compensation. There are different types of intersections, and the rules of the road vary for each of them from railway crossings, roundabouts, and four-way stops, to controlled intersections. It never hurts to review the rules periodically. Saferoads.com is one useful resource that is handy for both new and experienced drivers. The RCMP also has a list tips for pedestrians and drivers HERE. Even if you know all the rules, never assume that other drivers know them or will follow them. Defensive driving is always a best practice. A personal injury lawyer will help you to understand your case, the rules and laws involved. Most personal injury lawyers (including our Injury Law Team) offer a free consultation. There is no downside to getting advice on your rights, your obligations, and your options. If you have been in a motor vehicle accident of any kind, we provide experienced personal injury law advice and representation to injury victims in Grande Prairie and across the Peace Country.